An acclaimed American poet, Jay Parini is widely recognized for his ability to confront modern issues in a variety of forms, while adding a highly musical sense of phrasing and a relentless sense of humor. Parini, as seen in his previous works of poetry—Anthracite Country (1982), Town Life (1988), andHouse of Days (1998)—has created a remarkable voice of his own. 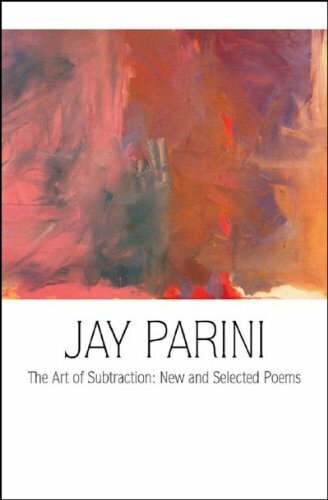 The Art of Subtraction: New and Selected Poems is a testament to Parini’s unique poetic style and constantly evolving vision. A compilation of fifty-nine new poems and forty-three from previous collections, The Art of Subtraction demonstrates Parini’s wide range of poetic registers. One sequence of poems responds to the wars in Afghanistan and Iraq. Others deal with personal themes and continue Parini’s ongoing exploration of the relationship between language and mind. The poems drawn from previous collections have been carefully chosen to represent the breadth of his work and of his experience as an American poet over the course of his career.